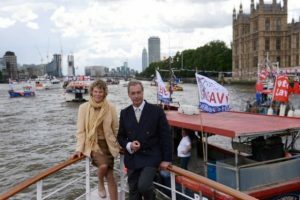 A week or two ago, chief Brexiteer Nigel Farage of UKIP led a flotilla of fishermen up the Thames to complain about the EU. 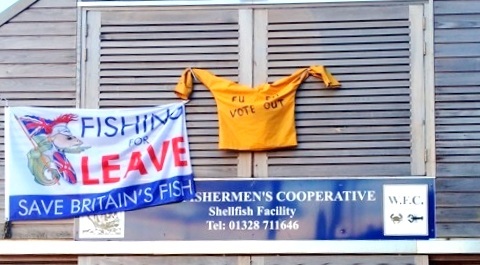 Many in the fishing industry campaigned for Brexit. Today came warnings that as with many other claims made by the Leave campaign, fishermen may not get what they hoped for. “Promises have been made and expectations raised during the referendum campaign and it is now time to examine if and how they can be delivered,” the National Federation of Fishermen’s Organisations told The Guardian. “Unfortunately, perhaps” it added, “the UK’s geopolitical position means that it is not politically or legally possible just to ringfence most of our fish resources, in the way that, for example, Iceland can. 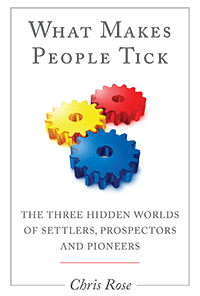 The reality is that most of our stocks are shared with other countries to some degree or other”. Not exactly vote Leave and ‘get your fish back’ then. Here’s a little story about Brexit from where I live, Wells Next the Sea in Norfolk, which illustrates the tangled nature of the story. We have a small but active fishing fleet (now sadly, one of the biggest on the East Coast of England). Like many other ‘small fishermen’, many blame the EU Common Fisheries Policy and access for foreign boats for their woes, and the lack of quotas allocated to smaller boats. Partly as a result, our local fishermen now fish almost entirely for shellfish such as crabs and lobsters, not fin fish like cod or plaice that have long been covered by quotas. Crabs, lobsters and other shell-fisheries are regulated and some are covered by quotas but not in the same way as fin fish. I’m no fisheries expert but I do know a bit about it and spent a year or so working to support campaigns intended to help get smaller fishermen a better deal from the CFP, when it was being reformed. This was partly successful in that the Member States including the UK agreed to a policy designed to encourage this but in practice the UK Government did not use it to help small fishermen, a decision contested in the Courts by Greenpeace. Even so, many in the fishing industry still saw the EU as the problem rather than the attitude of their own government (see EU fisheries reform fails to live up to green hopes). In my view it is damaging to communities, employment and the environment that fisheries policy does not favour smaller operators doing more sustianble forms of fishing but I don’t think leaving the EU will help. The problem is in Whitehall and Westminster not in Brussels, only UK politicians like to pretend it is, knowing that this plays to beliefs prevalent in the industry. In reality fishing stocks have been depleted by over-fishing, and that started decades before we joined the EU. There are also a large number of access agreements made outside EU legislation between countries around the North Sea which would need to be drastically changed if Britain’s fishermen were to ‘get our fishing grounds back’, and many of them currently enjoy access to stocks outside what could ever become British waters. Ironically, as with farming, ‘European’ money has also poured into fishing in a way that it has not into many other industries. 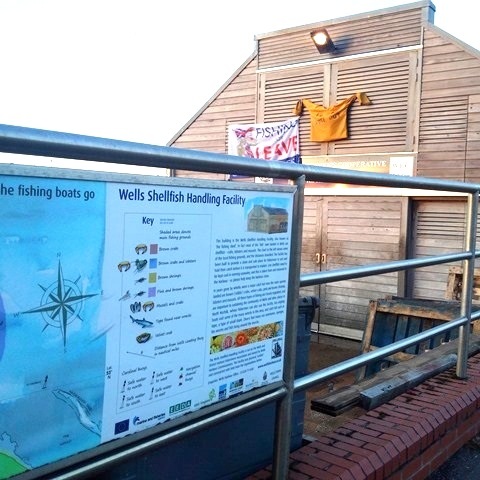 For example on Wells Quay there is a ‘fishing shed’, or as it is officially known, the ‘Wells Shellfish Handling Facility’. I am very familiar with this having spent several years of my life helping project manage its laborious construction, when a Harbour Commissioner. The idea was to support the then profitable Velvet Crab fishery, which needed a processing facility. ‘Velvets’ have now much diminished but the shed is well used by the fishermen, for instance for keeping crab and lobster bait in a cold store. That shed was built partly with EU fisheries funds: £130,594.19 or the total £421,000 cost came from the European Fisheries Fund. Presumably that won’t be happening again after Brexit. And ironic because it is the self-same shed on which the protest against the EU was hung. I’ve heard from fisheries policy officials and ex Ministers that the main reason the UK Government likes a few big boats doing the fishing rather than lots of little ones is simply that it’s administratively convenient to regulate that way. I can’t see Brexit changing that. 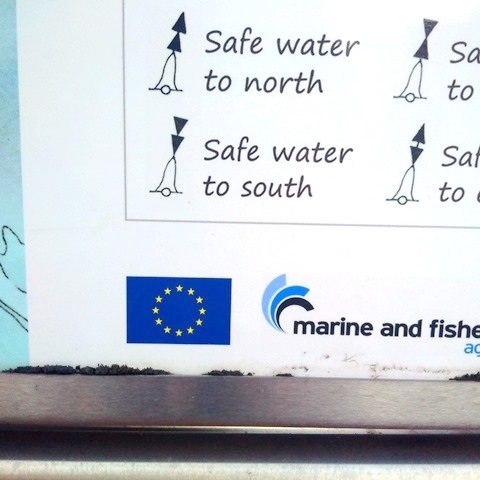 An EU funding logo acknowledged on a display panel (which I designed) outside the shed, which explains where the local fishing is done. It’s popular with visitors but they probably never noticed the EU flag. Maybe it should have been bigger but maybe it wouldn’t have made any difference. Seems to me that Mr Farage and his friends have led our fishermen up the river.